Sridevi's choice of characters in films was varied and this gave the audience a chance to see her in all avatars. Her last film appearance will be in Aanand L Rai's Zero where she has done a cameo with Shah Rukh Khan. After working for a few years as a child actor, Sridevi made her debut as a female lead when she was 13 in the film Moondru Mudichu. Sridevi, 54, was one of the strongest pillars of Hindi cinema. Born in Sivakasi, Tamil Nadu as Shree Amma Yanger Ayyapan, she became a performer when she was only 4 years of age. Sridevi made her debut in the movies as a child artist in M.A. Thirumugham’s film Thunaivan and there on, faced the camera several times for various Tamil, Malayalam, Telugu and Kannada films. She even appeared as a child artist in 1975’s Hindi film Julie. After working for a few years as a child actor, Sridevi made her debut as a grown up when she was 13 in the film Moondru Mudichu. In this 1976 film, she worked alongside Rajinikanth and played his step mother. Following this role, Sridevi acted in films like 16 Vayathinile (1977), Sigappu Rojakkal (1978), Varumayin Niram Sivappu (1980), Moondram Pirai (1982) and thus gained a prominent spot in Tamil and Telugu films. In the meanwhile, with Solva Sawan (1978), Sridevi made her debut in Hindi films. She continued to work in the south after her Hindi film debut as well. After Moondram Pirai was remade in Hindi as Sadma, Sridevi was re-introduced to Hindi cinema. Through the 80s, she did many films in Bollywood and cemented her position as the top actress of the time. Himmatwala (1983), Tohfa (1984), Nagina (1986), Aulad (1987), Mr India (1987) among many others established Sridevi as the top icon of the time. Her choice of characters in films was varied and this gave the audience a chance to see her in all avatars. With films like Chandni (1989), Chaalbaaz (1989), Lamhe (1991), Khuda Gawah (1992), Roop Ki Rani Choron Ka Raja (1993) among many others Sridevi continued to retain her number one spot. Her skills as a performer were highly appreciated. Be it a serious role of a mother or a playful role of a street smart girl, Sridevi was acing at everything. Not just acting, Sridevi was well known for her dancing skills as well. A poised dancer, Sridevi’s dance numbers were enough to pull the audience into a theater. After the release of her 1997 film Judaai, Sridevi took a break from Hindi films. She planned to make a comeback with 2002’s Shakti but it was at this time that she got pregnant with her second child. The role was physically exhausting and hence Sridevi chose to step back. She eventually made a comeback with Gauri Shinde’s English Vinglish. The two had been hinting at announcing another film together but sadly, that day will never come now. 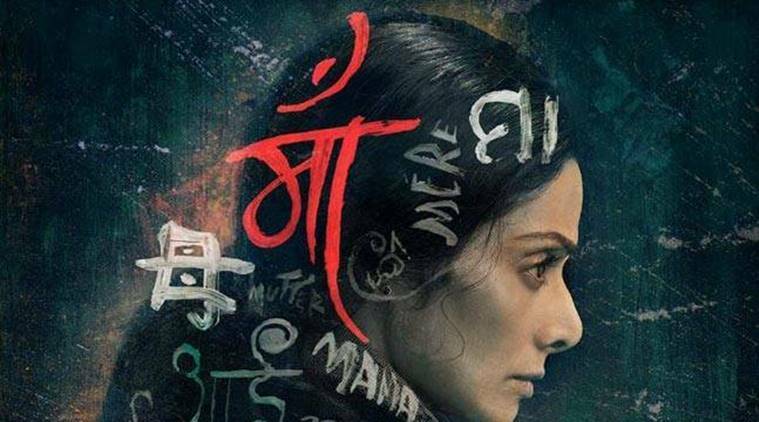 Sridevi was next seen in 2017’s Mom where she played a mother who wants to avenge her daughter’s rapists. Her performance was applauded and the audience wished they could see more films by this noted actor. Her last film appearance will be in Aanand L Rai’s Zero where she has done a cameo with Shah Rukh Khan. Playing Devki Sabarwal, Sridevi played the role of a mother who could go to any extent to avenge her daughter. She plays a vigilante out to extract revenge from the men who raped her teenage daughter. Sridevi was fierce in the film and her performance as the woman who has the ability to take on the world to get justice for her daughter was quite powerful. This was Sridevi’s comeback film after a long gap of 15 years. Her performance as the homemaker who is also an entrepreneur was just so powerful that it moved many to tears. The scenes where her character is made to feel inadequate for not knowing English or the scene where she confidently delivers a speech at her niece’s wedding were emotional and captivating. Sridevi stepped in this film after actor Divya Bharti tragically passed away. With her signature dialogue, “Understand? You better understand,” Sridevi was her fiery best against Anil Kapoor in this film. Playing a successful businesswoman who does not subscribe to social stereotypes, Sridevi’s character starts off as a woman who does not listen to reason but eventually starts seeing things from different points of view. This underrated classic had Sridevi playing two roles. In the beginning, she plays Pallavi, an already engaged woman who enchants you with her graceful performance on songs like “Morni Baga Mein”, and later, she plays Pooja, the orphan daughter. With Pooja, Sridevi delivered one of the best performances of her career. The girl who is mindlessly in love with a man twice her age and yet is completely fearless when it comes to confessing her feelings, Sridevi put her heart out on the screen here. This 1991 film directed by Ram Gopal Varma had Sridevi working with Venkatesh. Kshana Kshanam was a road movie that fetched Sridevi a Filmfare Award (South) for Best Actress (Telugu). RGV later remade this film in Hindi as Daud. This classic by Yash Chopra is still remembered for songs like “Mere Haathon Mein” and for the way it celebrated the beauty of Sridevi. An actor of such great calibre, Sridevi played the titular role with such perfection that the mere mention of her name reminds one of her deep, expressive eyes that simple hold the audience’s gaze. This was the film where Sridevi got a chance to display her acting chops to the fullest. She had a double role in the film. As Anju, she showed off her bossy side, the girl no one could mess with but as Manju, she was the submissive, docile girl who is even scared to speak. Playing two diametrically opposite roles, Sridevi enchanted her fans. While the film was titled Mr India, Sridevi’s role as Seema was quite pivotal to the plot. Her character starts off as an investigative journalist who is on the hunt for her next scoop and ends up being in the middle of the events that save the country from Mogambo. Sridevi’s scenes where she brings in snacks for the kids in the house was a tearjerker and her performance as a sensual diva in “Kaate Nahi Kat-te” was mesmerising. This 1983 film directed by Balu Mahendra re-introduced Sridevi to the Hindi film audience as prior to this, she had only appeared in one film. Sridevi had played the same role in the Tamil film. Sadma had her playing a girl suffering from retrograde amnesia that has her behaving like a 8-year-old child. Some of the scenes in this film will leave you in tears. This 1981 Tamil film by G. N. Rangarajan Had Sridevi and Kamal Hassan in lead roles. Stuck in a love triangle where her husband is ready to leave her, Sridevi’s character pulls in all the stops to save her marriage. This film even fetched her Filmfare Best Actress Award (Tamil). Sridevi was an acclaimed dancer and the audience got to see her perform in some of the most popular chartbusters of the day. Here are 10 top songs of the Hawa Hawai girl of Bollywood. A Sridevi classic that had all the magic thanks to her charismatic personality, her expressive eyes and of course, her dancing skills. Hawa Hawai has her posing as a dancer even though she is at the location for investigative purposes. This song was quite a rage back in the day and has still not lost any fans. In 2017, with Vidya Balan starrer Tumhari Sulu, Hawa Hawai was even recreated for a younger audience. This song celebrates Sridevi’s character, Chandni, in all her glory. It is through this performance that Rishi Kapoor’s character falls even more in love with her. Sridevi was one of the few actors who was quite known for her dancing skills and this track is a fine example of the same. Director Yash Chopra presented the actor like an icon here and deservedly so. This film had Sridevi playing a ‘ichchandhari nagin’ and was a surprise hit at the box office. Over the years, this film gained even more popularity as it was quite a favourite on satellite television. In this song, Sridevi puts up a performance that has her channeling the nagin perfectly and at the same time presenting an enchanting dance performance. Dancing amid the sand dunes of Rajasthan, Sridevi here is the perfect combination of innocence, grace and poise. Her demeanour is royal yet she retains the lively side of her personality when she performs on this iconic dance number. With this song, Sridevi was hailed as the undisputed sensual diva of Bollywood. Romancing an invisible man here, Sridevi was gorgeous and graceful in the video of this song. Mr India had her display her acting potential to the fullest. This 1983 film was quite popular back in the day but what has stood the test of time is the performance by Jeetendra and Sridevi to this song. Dancing against earthen pots, dressed in fine ethnic clothes, this song is quintessentially 80s in its style and that is probably what has made it stick around for this long. Sridevi did not have a big part to play in the film but her song “Har Kisiko Nahi Milta” became an instant chartbuster. Donning a saree against the sea and performing with Feroz Khan, Sridevi was the epitome of sensuality here. This song celebrates the love of Pooja (Sridevi) and Viren (Anil Kapoor). With its melancholic sound and the beautiful chemistry between Sridevi and Anil Kapoor, this song holds the essence of this film. Chaalbaaz had Sridevi playing a double role. With playing two opposite roles of Anju and Manju, Sridevi’s performance enthralled the audience. This song completely defines her quirky character Anju. Dancing in the rain with umbrellas and raincoats, this reminds us of the spontaneity that Sridevi brought to the silver screen. The last time when Sridevi shook a leg on the silver screen. This wedding song did not have a dance performance by the actor but had her moving to the beat and it was a complete pleasure to watch that the senior actor was still just as aesthetic when it came to dancing. 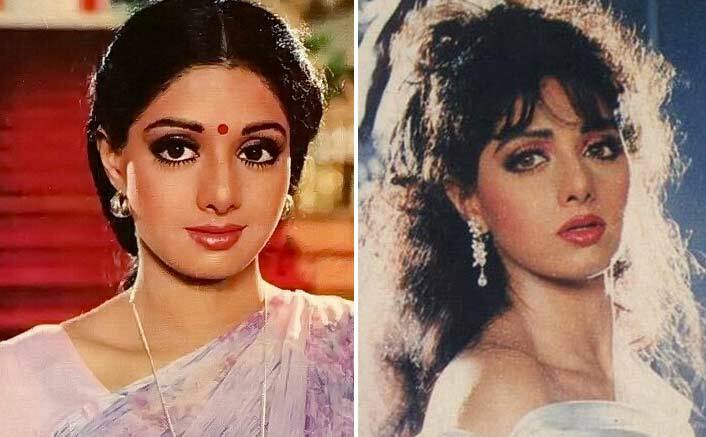 Sridevi had a career that lasted for over four decades but there are still many facts about this star that her fans might not know about. Here are 10 lesser-known facts about the acclaimed actor. 1. Sridevi first appeared on the silver screen as a child artist when she was only four years of age. M.A. Thirumugham’s Thunaivan (1969) was her debut film as a performer. 2. Sridevi’s real name was Shree Amma Yanger Ayyapan. For her screen life, she had adapted the name Sridevi. 3. Sridevi and Anil Kapoor were a popular jodi at the Hindi movies through the 1980s and the 1990s. The two starred in 13 films together and delivered some of their best films which include Mr India, Lamhe, Laadla, Judaai among many others. Her films with actor Jeetendra were a major crowd puller as well. The two did 16 films together. 4. In the Tamil film industry, Sridevi did the most number of films with actor Kamal Hassan. The two starred in popular films like 16 Vayathinile, Vazhvemayam, Meendum Kokila and Moondram Pirai among many others. 5. In 1993, Hollywood director Steven Spielberg was casting for his now iconic film Jurassic Park. Sridevi was at the peak of her film career then and was approached by Spielberg but she refused. She felt the character did not offer enough meat for her to perform. 6. In a lot of her initial Hindi films, Sridevi did not dub her dialogues as she was not very proficient at the language. Yesteryear actor Naaz and actor Rekha were the ones who dubbed for a lot of Sridevi’s films. 7. The 2002 film Shakti was going to be Sridevi’s comeback to the silver screen as she had taken a break from the movies after Judaai. But the lead actor had to be replaced as Sridevi was pregnant with her second child at the time and the role was physically exhausting. The film was produced under the banner Sridevi Productions and starred Karisma Kapoor in the lead role. 8. Sridevi was only 13 years old when she played the role of Rajinikanth’s stepmother in Moondru Mudichu (Tamil film from 1976). 9. The 1992 film Beta, which was quite instrumental in making Madhuri Dixit an icon of the Hindi film industry, was first offered to Sridevi. She refused this role because she was already doing a lot of films with Anil Kapoor. Sridevi also refused Juhi Chawla’s role in Darr as she felt it had nothing new for her. 10. In 2013, Sridevi was honoured with Padma Shri, the fourth highest civilian award from the Government of India. Celebrities from all over the country have been offering their condolences to the family of the deceased actor. This is the kind of tragic news that can give an entire nation a cardiac arrest. I’m shocked and very disturbed. I’ve lost a dear friend and the industry has lost a true legend. My heart goes out to her family and friends. I feel the pain with them #RIPSridev … you will be missed.